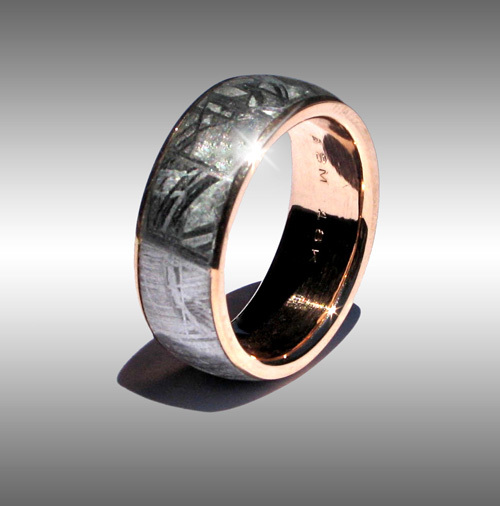 Style #068: Superb, domed Gibeon Meteorite Wedding Ring with 18k Rose Gold Lining & rails and gorgeous Widmanstatten pattern. This elegant ring is shown in a size 12, and 9 mm width. Please enquire for current pricing!